Work out those winter kinks and get ready for golf season! 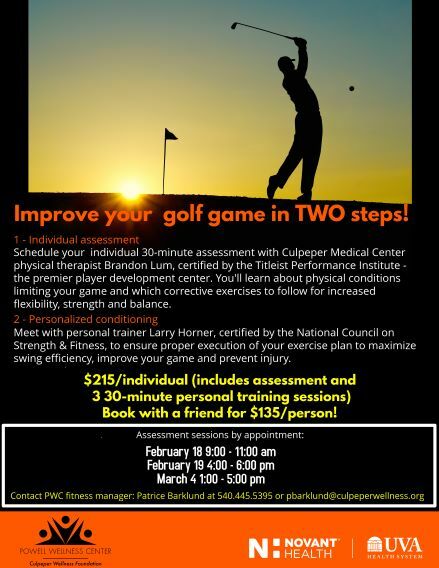 This two part program in partnership with Culpeper Medical Center Physical Therapy will identify physical conditions that might be limiting your game and prescribe corrective exercise you can follow with the support of a personal trainer. During your assessment appointment, physical therapist Brandon Lum, certified by the Titleist Performance Institute, will provide a 30-minute assessment. Based on the assessment, he will identify the next steps for you to gain increased flexibility, strength and balance in three sessions with PWC personal trainer Larry Horner. Schedule your assessment quickly as there are only three dates available: February 18, 9:00-11:00 am; February 19, 4:00-6:00 pm and March 4, 1:00-5:00 pm. 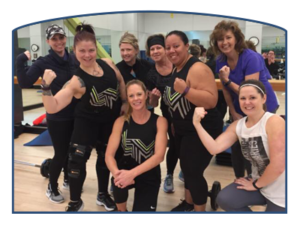 $215 per individual includes the assessment and three personal training sessions. Book with a friend and save $80 off the individual price!